New York Painting Services supplies the commercial businesses and residential homes of Greater New York and Greater New Jersey with a number of contracting services. With no project being too big or too small, we have come to be a reputable company applying high moral standards and work ethics, family-friendly customer service, and superior execution on all services rendered. New York Painting Services is completely licensed and insured to assure to our valued customers that they are receiving professional quality workmanship. New York Painting Services specialists utilize exceptional quality products, tools, and equipment that amplify their training, experience, and natural talents t deliver premium results. Residential homeowners throughout New York and New Jersey looking for a change of pace in their home can take advantage of New York Painting Services’s living room decorating service. When desiring to change the look of your living room, you can do so, even on a tight budget with just a few changes that can completely alter the dynamic of your living room. 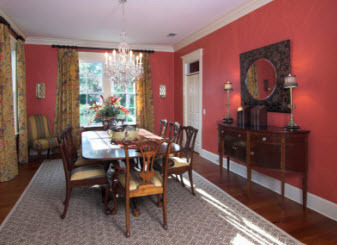 Interior painting, faux painting, texturing, wallpaper installation and/or removal, popcorn ceiling installation or removal, crown molding and baseboards, wainscoting, drywall repairs or replacement, and more are all examples. Using one or a combination of multiple services can easily give your living a face lift. New York Painting Services’s interior painting service for your New York/New Jersey home’s living room can be just what your living room needed. Trends come and go, and though you may be partial to certain colors or looks, the same old thing can get boring. 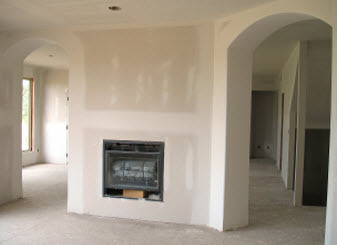 The beauty of painting your walls is that it is easily repainted as often as you desire a change. The living room is often where the family congregates, or where guests are entertained. Whether it’s to watch the big game, participate in friendly competitions of Pictionary, or just to enjoy one another’s company, the living room can set the mood. Playing with the psychology of the colors, or utilizing your favorites, the colors can be the center point. Earthy tones accented by bold and bright colors are increasingly popular. For example, painting the primary walls a medium-dark gray, while using a bold blue, green, or even orange to accent the room is a nice way to enjoy the bright colors without being overwhelmed by them. Faux painting techniques can give the look of your favorite material without breaking the bank of getting the real thing, and texture can go a long way in adding style. New York Painting Services’s wallpaper removal and/or installation service for your New York and New Jersey home is ideal for those who prefer the playful prints and overall look wallpaper has to offer. Whether you want to replace existing wallpaper with wallpaper or paint, or wish to install wallpaper, New York Painting Services can make the project quick and simple. Crown molding, wainscoting, and baseboards are often the “cherry on top” in making your living room more prominent. New York Painting Services performing this service can ensure your finishing touches are installed proficiently to display the subtle elegance crown molding, baseboards, and wainscoting has to offer. 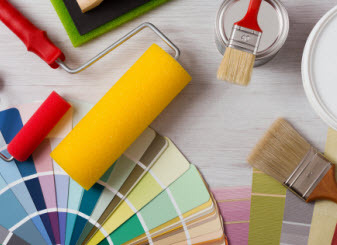 No matter what you are looking for to make your New York or New Jersey home fresh and different, or simply need repairs to improve the overall aesthetics, New York Painting Services can ensure the end results are exactly what you asked for. Call us today to get started on your living room decorating service.